Travel is the best ever moment in life that we have only once for visiting amazing places. Travel Videos will reamin as the experience of visited places. Travelling throughout the Globe will give us some great experience of meeting different people from varied cultures, having enjoyment with special activities and having various food items with our friends or families that are completely unique from place to place. After making the trip we will return home place, but we should have this flash of a journey as a memorable event. Hence, we should capture our twinkle moments that could be forever and that can be shared with others by launching travel channel on YouTube which can grab millions of fans for our channel. To make an extraordinary video for our travelling exposure we need to have some components. We can find advanced features in the newly arrived equipment that makes a normal into real-time video with ultimate effects. Before capturing, we should know about the important devices that are mainly responsible for making video, i.e. mobile and camera. Just start recording the things that you want. Before shooting, we should have a perfect sketch of the selected area. We should make the viewers get an idea of where you are and what you are watching. Give a little bit explanation of the place i.e. just rise up the unknown facts about that. This grips the concentration of viewers by getting excitement. Mobile is the most common device to record along with this we should have selfie stick which can give stability while we are in a moving situation. Mini Tripod which holds the mobile and that enable us to have hands free. Don’t forget to carry charger, mic and hard drive to store the data which necessary devices to record a perfect video. While shooting in hilly areas with digital cameras it’s better to use drones to cover all angles, time lapse and stabilization. Adjust excellent angle according to your position and try to cover the wide area that you visited. Make a slow motion of camera while describing some interesting topic. After completion of recording choose to edit by adding some pleasant background music, adjust color and brightness of the video that gives the better appearance. Keep in mind to add some phrases of specifying the theme. If possible attach the animated figures which create fun. If you follow all these amendments to capture the travel video will result in the best experience of shooting. The resolution of the video should be 3840×2160, which is the latest feature in best camera i.e. 4K resolution. HDMI connection should be there to have the HD quality of the video. The aspect ratio should be 3:5, i.e. length and width specifications. The sensor category should be CMOS. Image stabilization should be monitored by sensors. It must have the feature of digital zoom option and auto adjustment of lightening. The mobile should have 1080×1920 pixels which are presently available. The potentiality of 4K resolution should be there. Optical picture balancing should be built with the lens. Maintain HD quality of images. This camcorder is completely used for only video purpose. It should have 3840×2160 pixels for 4K resolution. Auto color adjustment and Digital zoom option should be there. Inbuilt memory storage should be there. To diminish the quaking of the video it should have the special aspect of image stabilization. DJI OSMO is free accessed stabilized handles camera helps to take a smooth video footage. To achieve the beautiful flying footage use the OSMO in flashlight mode. It gives smooth moves and you can turn anyways how do camera can move. It shoot videos with 4K resolution, the OSMO can sit with 1080P and 720P frames. It can shoot super slow motion shots with high dynamic range. You can operate this with selfie, flash light mode. You can also control the setting with just a finger touch movements to share with best part. OSMO is entirely next step in the evolution of the camera. This is easy and portable for travelers carry. Built in battery equipment, GPS, Wi-Fi and memory card for storing data. When somebody interested in shooting a Travel video we should follow some tips to make it easier. One thing it should be portable that it should fit in your pocket or in a purse. But sometimes those are heavy even though that camera gives high-quality videos and awesome clarity to that Vloggers. You should have a camera that works in two ways like where you are in good lighting situations or in dull lighting situations. Some of the cameras are listed below. Today, many smartphones have an outstanding Camera that is capable of shooting travel videos.It’s pretty easy to carry for travelers. All mobile phones do not have editing options after shooting, it may be a little bit hard. So should select the perfect device for shooting. To get nice close-ups with high-quality videos, even tiny things can be captured using the lenses.It gives a great mid-range zoom to the videos.These are the best DSLR lens for taking videos. Another thing to consider here to shoot travel videos it is not only video but also audio.You must consider audio how good it is. What is the ease of workflow, when it comes to shooting the video after that it should be edited? Some phones and cameras do not work for it, so we should consider that factor while selecting the equipment.Sometimes we should keep some accessories with us while traveling. I have listed some of the basic accessories should carry with us while shooting travel videos. People keep sending travel videos they are good in some aspects, bad in some aspects. You should shoot video from low angle potentially that makes bigger and exciting. When you use cinematic movements, that means Look around and observe everything you should move it side by side slowly towards forewords, back words what you shoot. The most important factor that every traveler should follow is the Image Stabilization.Some cameras don’t have it and some cameras have it. The best camera for shooting videos is smartphones. If you already have a shooting video with just edit and upload it what you have. When it comes to smartphones, iPhone 6 has the practice to shoot videos. The biggest this that this doesn’t have image stabilization. iPhone 6+ has this IS an option. Another popular camera for video blogging is GoPro. Here you will get different models in GoPro. This is very portable and can fit in any of the places. This camera has a pretty good audio and video. The smooth filming is very important while shooting in Travel videos. We can add some extra accessories to the GoPro to get good video quality in all conditions. The CANON ELPH 110 HS is the best budget option even anybody can buy for best video blogging. It consists 24-inch lens and for zooming shots. Many YouTubers used this camera for travel programs and now still using it. CANON 300 HS also best practice both of those are phenomenal cameras for shooting. Long time shooting for the whole day we recommend this option. 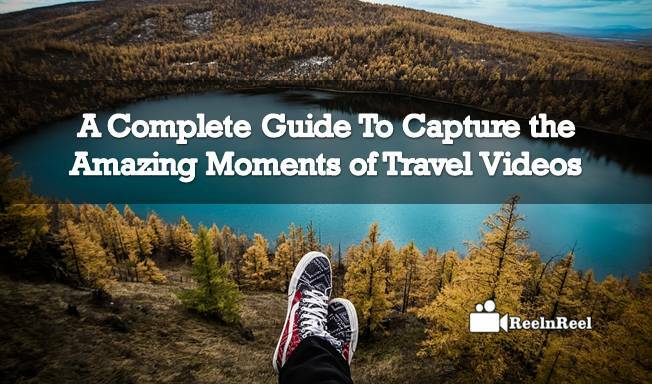 These all are the best practices for shooting the travel videos. CaseyNeistat is well known for American Volgger, filmmakers. This channel stood on the top of YouTube Vlogger for shooting travel videos. This channel releases 2 videos per week.Casey uses different types of cameras like DJI Phantom, Drone, Canon cameras, microphones that can fit to shoot videos. He shoots different stuff like the making of electronic stuff, adventure movies, Vlogs, Ghost Drone and much more. He was awarded as Independent Spirit award, GQ Man of the Year for the best YouTube and media star. He has uploaded almost 746+ videos and shoots best YouTuber for vlogging. This channel has 6,380,289 + subscribers and 1,419,157,039 + views. The making of Travel video for a purpose of channel or personal use will impact on the image of creativity of the inventor. This is completely a different wonderful world generated by the travel hacker with his affectionate passion towards travelling to special places. So to compose a successful Travel video we must have serious commitment about travelling.